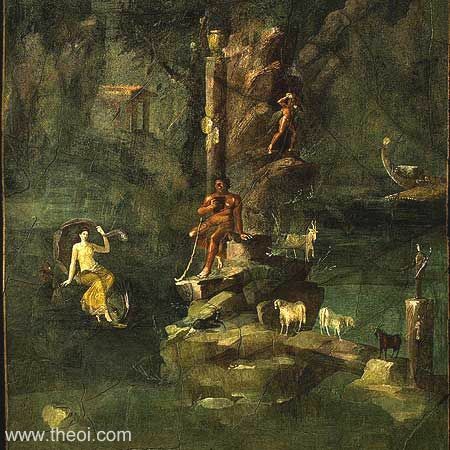 The Cyclops Polyphemus woos the Nereid-nymph Galatea with a tune on his panpipes. She rides a dolphin in the sea, and he is surrounded on the rocks by a flock of sheep. The boy atop the hill is probably the shepherd Acis.